WE WANT TO BRING THE SAME EXCITEMENT TO FAMILY PHOTOS AS YOU EXPERIENCE WHEN YOU PICK UP THE LATEST ISSUE OF YOUR FAVORITE FASHION MAGAZINE. Hello and welcome to the Private Editorial club! We are excited to share our artistry, process, and style tips with you. The PE concept was launched in 2015, and we have been growing exponentially ever since. We’ve been traveling extensively creating unique artwork in places like Big Sur, Tampa, NYC and even Japan! Casey Martinez and Michael Fusco came up with the idea of Private Editorial over a few bloody marys at the Ace Hotel in NYC. Casey, an established photographer and Michael, a renowned stylist and creative director decided to combine their expertise to create one amazing concept—high fashion family photography. Soon after, Beth Hitchcock and John Kenney joined the team. Beth is a wardrobe stylist and fashion expert, and John is a fashion editorial videographer. John’s work ranges from television commercials with clients like Pepsi and Smirnoff, to award-winning music videos and short films. Our goal at Private Editorial is to offer an alternative option to traditional family photography by taking the glamour and fashion you see in high-end magazines and bringing it into your home. We have coined ourselves the “Vogue of family photography.” We bring our fashion expertise and knowledge directly to our clients to create an experience akin to a shoot for a major fashion publication while enjoying every step of the process. The Private Editorial team will collaborate with you to bring to life the photoshoot of your imagination. After a consultation, our team goes to work on a concept board that reflects your unique styling, mood, and location preferences. Our photographer creates the essence of high-end, luxury fashion images from the pages of magazines in your family photos. After a consultation, our team goes to work on a concept board that reflects your unique styling, mood and location preferences. Our stylists will work closely with you to pull the perfect styling options for your shoot. On the day of the shoot, the client is met by our team as well as fashion editorial hair and makeup artists. They stay for the duration of the shoot to help us create different looks and keep the hair and make-up looking fresh. Our fashion videographer captures the entire photoshoot process. He delivers the behind the scene experience for the clients to use on social media. The social media videos are set to music to create a shareable version of your photoshoot experience. Our set designers and lighting assistants can bring anything you can imagine to life from florals to props to custom painted backdrops to anything else you envision. Once the session is complete, Private Editorial’s creative process continues as we hand pick the very best 15-25 final images for your gallery. Your images are then sent to our professional retouchers who perfect each image individually. Our team will ensure that your images won’t just look good, but extraordinary. Private Editorial encourages you to use this time to survey your wall space and begin getting an idea of where you might want to hang your new photographs. We also can work directly with your interior designer to ensure your photographs fit seamlessly into your homes decor. 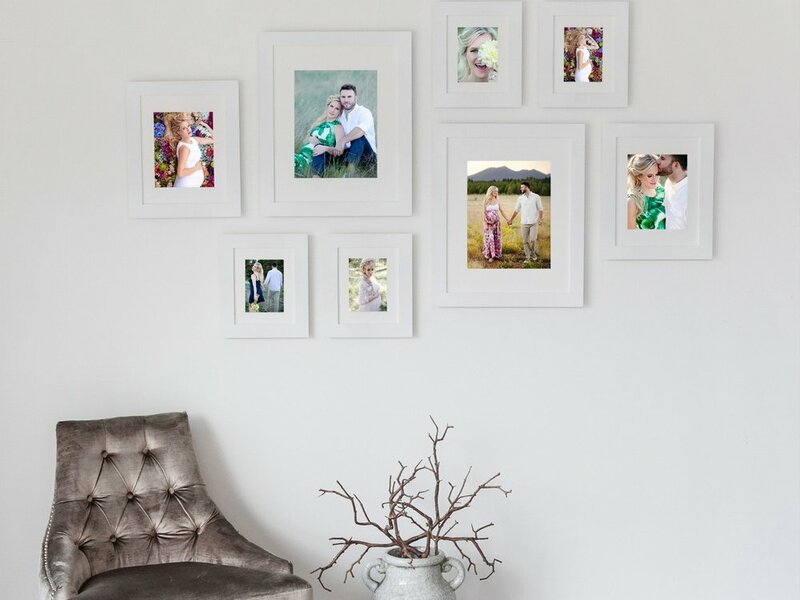 Don’t be surprised if you want to display your images all around your house!